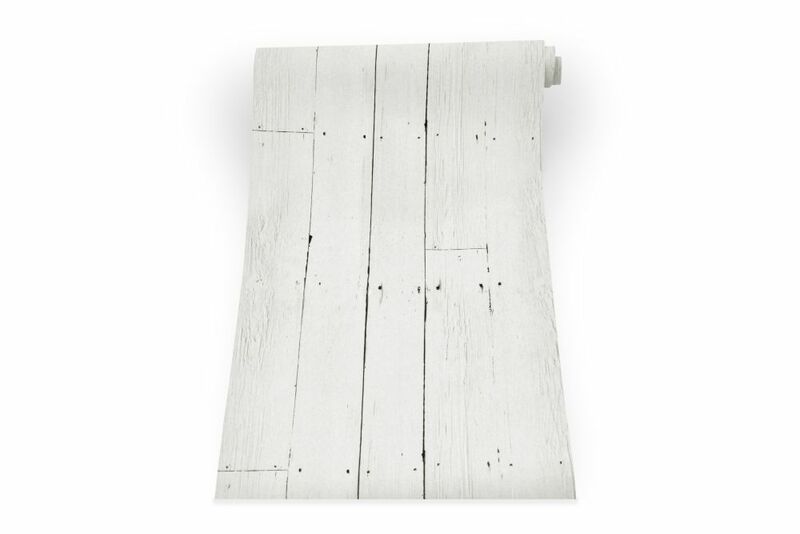 The White Planks wallpaper features painted white wooden planks with nail holes for a minimal shabby chic look. It can be used to create a bright contemporary feel reminicent of beach huts, magazine shoots and holiday homes. Perfect for feature walls or a whole room.